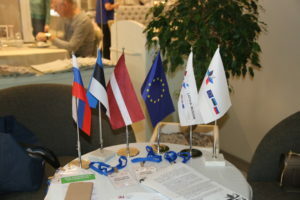 On 22 September Estonia-Russia Programme went on celebration of European Cooperation Day (ECDay) in Pskov (Russia). 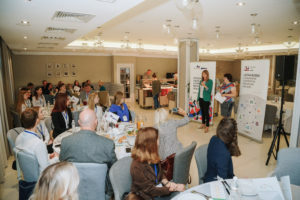 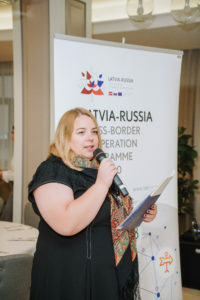 Within the festivities we have hold Hanseatic business breakfast and joint activities in cooperation with Latvia-Russia Programme. 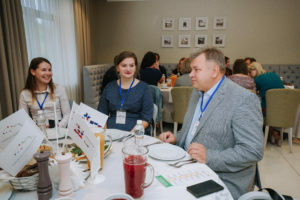 Hansa regional branding: regional promotion tools in mass media and tourist information. 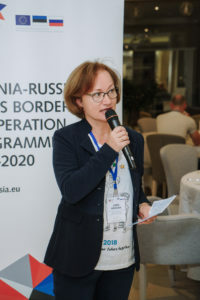 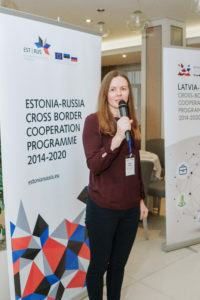 Consuls of Estonian and Latvian Consulates in Pskov, representatives of Estonia-Russia and Latvia-Russia CBC Programmes gave welcome words and expressed the importance of cooperation between border regions, which was started many centuries ago. 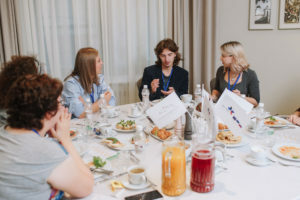 Fruitful and lively discussions between professionals and students at breakfast ended with conclusions, which were instantly written down on balloons. 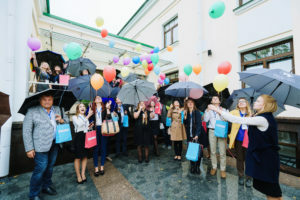 Developed ideas are metaphorically connected to moto of ECDay 2018 – “Painting our future together”. 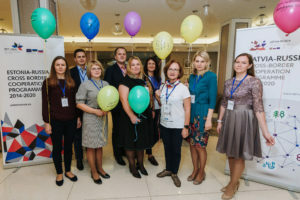 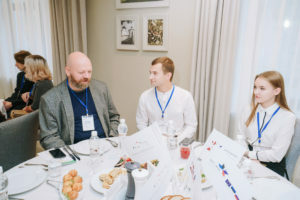 Further development of cooperation and friendly ties between border regions, strengthening the belief that there is perspective to work and do business in Pskov, joint enrichment of cultural life in Pskov region and collaboration with the youth – these were the key ideas and wishes, which were fixed on the balloons. 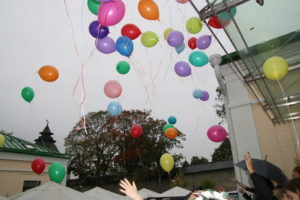 To make the ideas come true we launched the balloons altogether in the air. 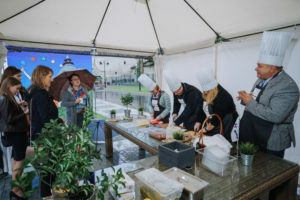 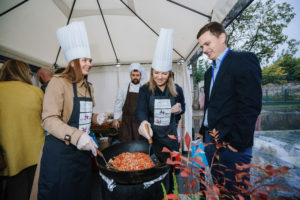 Joint cooking of traditional soup “Seljanka” by representatives from Estonia, Latvia and Russia symbolized the real cooperation. 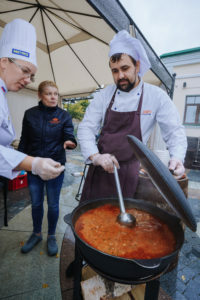 Participants tried tasty soup in continued lively conversations about culture, cooperation, traditions. 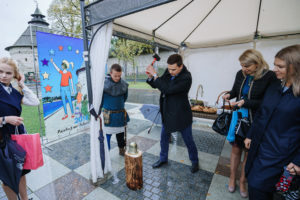 We acquired new skills of making coins, took joint photos with the cultural historical heritage “Pokrovskaya Tower” and enjoyed friendly atmosphere. 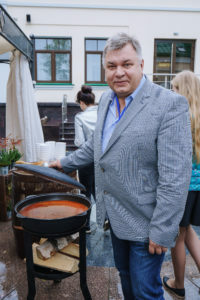 Please visit the Gallery of ECDay celebration in Pskov. 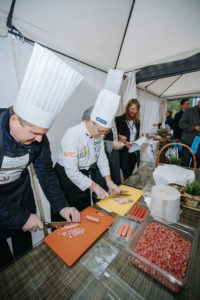 Activities of the European Cooperation Day will continue in October. 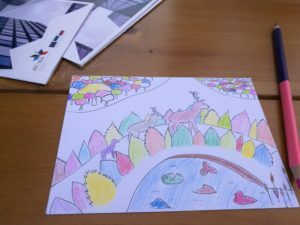 Postcards drawn specially for this year ECDay by Estonian and Russian youngsters from Art Schools will be coloured by children in two schools and one kindergarten of Pskov. 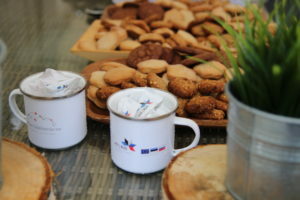 Afterwards we will send them out to the addressed friends and relatives to spread ECDay celebration mood further.